Google Analytics is pure research based. With this tool you can monitor your website's performance and details such as visitor's clicks, ratios, percentages and much more. With Analytics results you can decide at what areas your website need improvements. From SEO prospectus it is a measure of your website and way for further developments. With Website analysis and data interpreted through online software one can immediately take steps towards detailed work rather than routine. Many times most of us realize why our website performing slow and not moving like others. Perhaps, Google Analytics can answer you instantly. The whole setup is quite easy and you can rest stay assured for the quality which Google delivers. While there are plenty of other analysis softwares and websites are available, Google Analytics (GA) is free and mostly preferred by many people. With Google's development over years and the level of accuracy they deliver, you can easily know where your website stands in the competition. 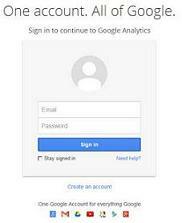 How to Setup Google Analytics and Link to Your Blog and AdSense? You need an account in order to proceed with Google's products and services. 3. For Analytics to run through your website you need to add a small code to your pages you want to monitor. To get the tracking code, follow these steps. 4. Through setup it will ask you for sharing data with other Google's products such as Google Webmaster Tools, Google AdWords Campaigns (for monitoring visitor’s clicks), Wordpress themes etc. You need to focus on following topics first rather than running through whole interface. CPA is key indicator of your ecommerce business. CPA tells how much an online business pays to get to the new customer. E.g. If you have paid 50$ for 500 clicks on your website and you got 3 customers through this period, your CPA at this moment is 50$/3 equal to 16.66. CPA will be different for Using Social Marketing, SEO, Multiple Marketing Channels, Affiliates etc. This metric indicates how many visitors just arrived at your website pages and instantly clicked away again. The reason could be anything and that’s the thing you need to focus. E.g. sometimes we see sudden increase in clicks on our few posts. Those pages are in trouble and not performing well. By tracking conversion rates in GA you will easily know how the set goal is actually hitting the target. If said ultimate action is not taken by visitor on your website’s page, GA will indicate the worst abandonment rates for the particular goal. Perhaps in this case you need to study why this is happening? E.g. your sales page getting lot of clicks but the goal set to see the final transaction is showing less value. Possible reasons could be – Pricings are more, Website have some issue with final transaction, Difficulty understanding the process, Some tabs or values are not working properly, Difficult navigation, People worried about spam. Setting up goals on your website is quite simple and very effective way to monitor how your site is performing. Study whether you need to sell some goods on your site, need maximum readers, want to make revenue from ads or it is a professional blog. Then decide your goals such as Engaged visitors, Calls to action, best performing ads, subscriptions made, purchase done etc. By setting up these goals and tracking things you will come to know the main traffic sources and visitors for your site, conversion rates etc. This way you can now focus more on the specific topics or main improvement areas of your website. It’s a free analysis tool from Google which helps user to know accurate data such as number of impressions for search queries, their position, crawling errors details etc. You can connect your Google Webmaster account with Google Analytics account and get all the reports. With these reports you can easily monitor click through rates, their positions, target market and much more. Better or Faster site speed will certainly help improve your visitors happier and satisfied. When your pages loads slowly than normal your site's rating will go down. Factors such as Bounce Rate, page views will help you decide further improvement areas. By doing this you can know keywords that people mostly use repeatedly on your website. This is important to drive more interest while people visited your site. Site search will keep readers happier and will give them access to the specific information they are looking for. E.g. Amazon website, where there are thousands of products are available. So site search is only way to let people get what they are looking for. Without site search it is next to impossible for visitors to get right information instantly. Event tracking can be customized as automated software works. You can track things such as who click your video, which ads are performing, what errors visitors are getting, positions of the tabs performing better etc. You can convert these events into Goals to learn behavior of particular things. E.g. onClick="_gaq.push(['_trackEvent', 'download', 'Automotive Manual', 'Brochure',, true]);"
In this section Google Analytics will show you the information about visitors which are on your site at specific time. It will further show information such as Locations, Traffic Sources and Content etc. Multi Channel Funnels works flawless in new version Google Analytics. It gives information about visitor’s source such as social media, referrals, ads etc. These funnels help users interact more with your website by interlinking various sources. Multichannel Funnels help obtaining better conversion rates with accurate values. While monitoring, most important thing is to know where the clicks are coming from. Wherever your promotions or campaigning are running well, may be with your links, campaign tracking will provide most accurate data and certainly help you put more precise parameters. By using URL builder tool, you can tag your URLs with parameters, so that Google Analytics will give you accurate data. Go to Campaigns report > Traffic Sources > Sources. Get graph of data in tabular format. Weather it is avg. time on site or bounce rate vs. page/visit you can study everything. Select two rows from any tabular report and click plot rows to get detailed graph. The graph will automatically adjust to the new input and you are all set to have in-depth comparison of various things. 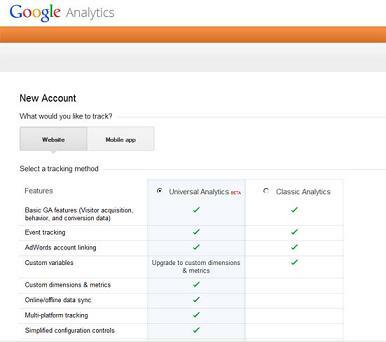 With new Google Analytics you can create as much as 20 dashboards as per your needs. Go to Home Menu > Dashboards > +New Dashboard. Add the required metrics and create dashboard as per your need. Visitors Flow: It shows the full path of visitors which have run through your website. It also shows where visitor have started on your site and where he/she have stopped. Goal Flow: It works similar as Visitor flow but the basic difference is it used pre configured pages in conversion funnel.